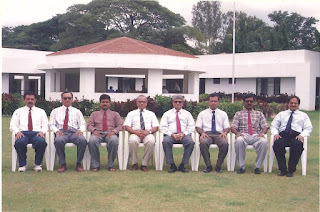 My longest stint in one workplace (7 years) has been at Kirloskar Institute or KIAMS, Harihar. A unique place in many ways. For one, it had an 18-hole Golf Course in the campus. Never again have I had THAT kind of feeling! But even more charming were the people-students, staff and atmosphere. It was close to being an ideal and idyllic workplace. 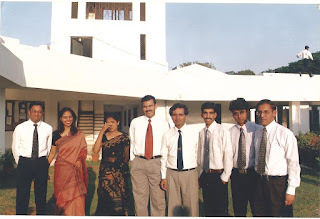 Some of us at the Harihar campus-above and below. A get-together at my place with Batch 1. I have met Achint and Nidhi from the pic above and Savitha from the pic below in the last year! Some of our non-teaching staff and Prof. Dhanapal, on a trip to Hubli. Below, Profs. Sandeep Kayastha and Vijayakumar, and families-mine too, at Ooty-Doddabetta. Great times, marked by a lot of parties at homes-Pavan and Jamuna were great hosts, at Kondajji, a lake-hill-dam site nearby, Rajanahalli, on the river Tungabhadra, and longer trips to Jog Falls, Hampi and Belur-Halebid. And yearly vacations to Goa, Ooty etc.. I wrote a case many years later about Golftripz, courtesy Jogeswari, a batch 2 student. 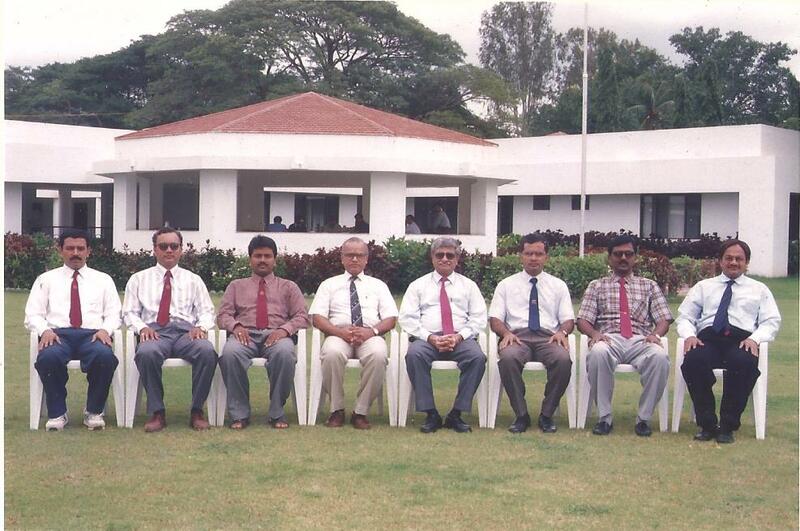 Many students have remained in touch (met Smita in Dubai, and Swapna and Vidya in Singapore), so many years later. 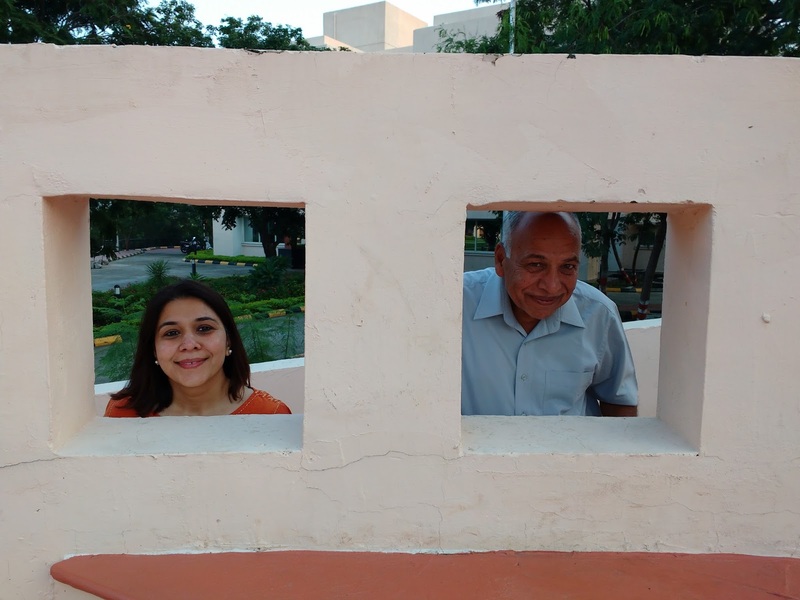 Here's a pic with Nidhi (and her dad) at IIM Indore last year!